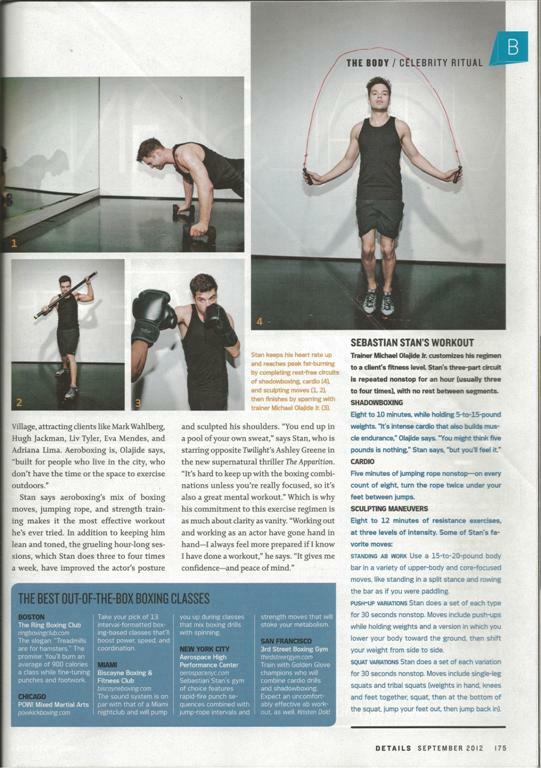 Biscyane Boxing and Fitness Club, where I teach my BOX180™ and LUNCHBOX classes, was mentioned in September’s issue of Details magazine. The article featured Michael Olajide Jr. of NYC’s Aerospace High Performance Center. After personally taking Michael’s class in NYC and having the pleasure of knowing him as a peer, it’s a true honor and compliment to be mentioned in the same article as “the best out-of-the-box boxing classes.” Two words…Very Cool.